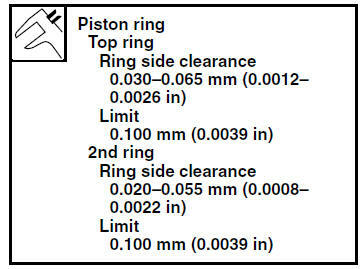 piston and piston rings as a set. 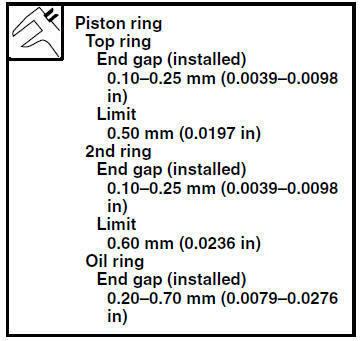 Before measuring the piston ring side clearance, eliminate any carbon deposits from the piston ring grooves and piston rings. Level the piston ring into the cylinder with the piston crown. The oil ring expander spacer end gap cannot be measured. If the oil ring rail gap is excessive, replace all three piston rings.